Welcome to the Pat Tholen Group Website! We value your time, so here is a quick overview of what makes this team different. We have over 30 years of experience in the Kansas City market. We are life-long residents who sell homes each year in Kansas and Missouri with price ranges from $10,000 to $2 million. We serve on a variety of boards, associations and we seize networking opportunities to better market our listed properties and to learn of unique homes for sale. We dedicate our time to professional activities at the Kansas City Regional Association of REALTORS®, the Kansas Association of REALTORS®, and the National Association of REALTORS®. 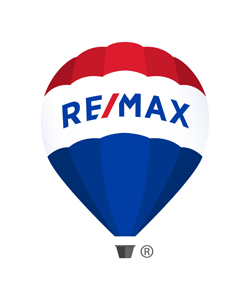 We joined RE/MAX because we want to provide the highest level of service & professionalism for our clients. Whether you are buying or selling your primary residence, a second home, or relocating to Kansas City, the Pat Tholen Group at RE/MAX Premier Realty will help you make your most successful home purchase decision. Focusing on excellent customer service has inspired Pat Tholen Group to build relationships with other results oriented professionals using superior technology and maintaining the highest ethical standards. We work to provide our clients with the most positive real estate experience possible. To aid you in your home buying or selling process, our website offers a wealth of information about the home finding, buying, & selling process. If we can help you in any way, please call or email us today!